The English language has come up with many fascinating ways of talking about death. 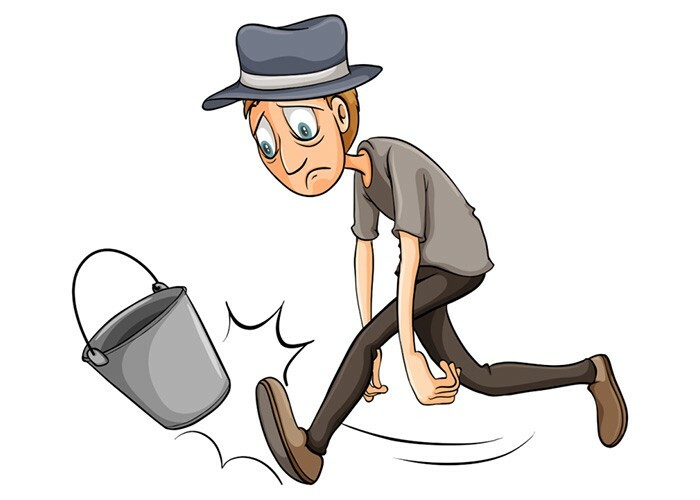 The frequently used idioms “kick the bucket”, for example, has an interesting history. Originally, this expression might have referred to someone standing on a flipped over bucket wanting to commit suicide by hanging themselves. The moment they ‘kick the bucket’ they will dangle freely and, eventually, die. This, however, is only one explanation of many. More likely is a link back to an older meaning of “bucket” which, in 16th century England, was a term for a wooden frame used to hang animals up for slaughter. In their final moments, the animals would struggle for life and through their jerking they would “kick the bucket”. Nowadays, “kick the bucket” is simply used to refer to the act of dying in general and, as such, it is one of many ways to address death without saying the word. This might be because death is a scary topic and to avoid direct contact with it, we came up with countless ways of describing it without going all the way. Often, we find descriptions of death routed in military expressions. After all, the military is a place death is inevitably a part of at all times and it seems tempting to find less depressing ways to talk about it. 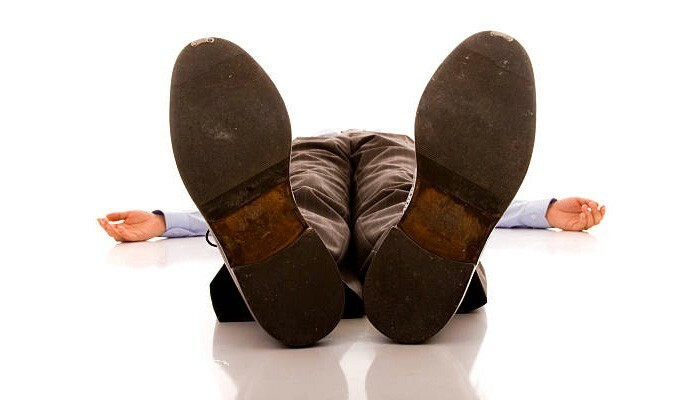 A rather gruesome notion can be found in a Portuguese expression called “bater as botas” which literally means “to knock one’s boots together”. It spread during the Paraguaian Wars and refers to the situation of a soldier being badly wounded and lying on the floor or on a stretcher. The expression described the moment when a soldier died, knocking their boots together during their final jerks. Another way of saying “to die” which has a military background is the English idiom “buy the farm”. It is said to originate from US military slang referring to an old law which said that, should a plane crash on a field, the farmer could reclaim the damage done to his property. Thus, the pilot who just crashed, probably ending up dead in the process, had “bought the farm” or, to be more precise, had left the burden of buying the farm to the government. Nevertheless, not all idioms referring to death are quite as morbid. Many expressions actually function as a sort of euphemism which makes sense if we think back to the idea of death as a topic everyone would prefer to avoid. 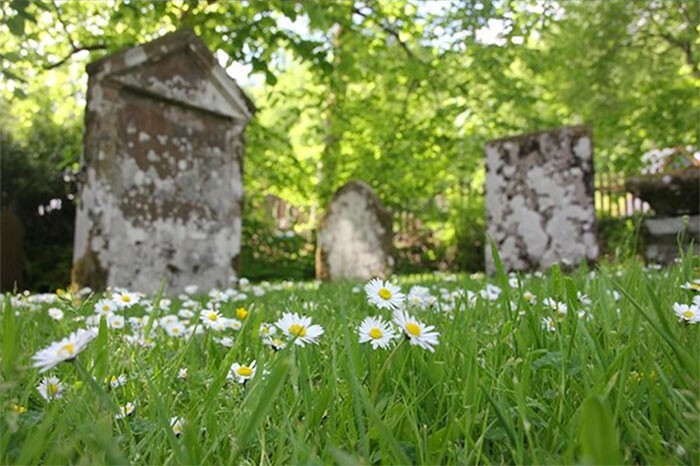 An English example for this is “pushing up the daisies”, a rather peaceful image referring to someone who is dead and buried. The deceased might be buried underneath a field of daisies and thus be pushing them up. 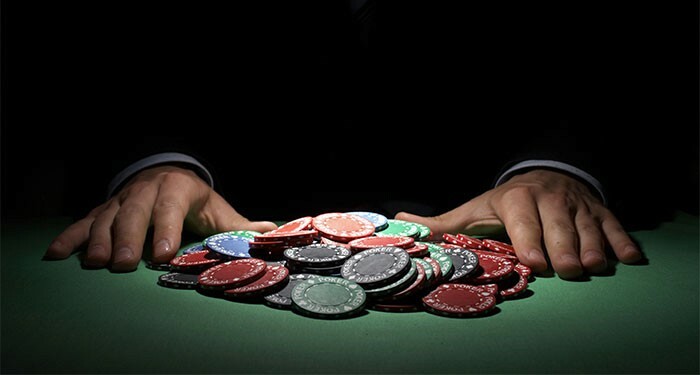 Another rather sweet example is “to cash in your chips” which refers to the end of an evening at a casino when the lucky winner goes to cash in their chips for money before returning home. Looking at life like this, death does not seem all that bad, described as a fun joyride which eventually allows you to return home with a prize. Of course, English is not the only language with a bunch of rather unique ways to talk about the inevitable. Czech for example has an expression for being dead called “prdět do hlíny”, literally “to fart in the dirt”. Considering this image, it feels hard to be truly upset at the thought of passing away. German also provides a rather gentle expression called “den Löffel abgeben” which translates to “handing over the spoon”. There are various interpretations for the origin of this idiom, the prominent one referring to the Middle Ages when every family member had their own spoon to use for their meals. When someone had finished eating, they would hang their spoon up on a hook on the wall before leaving the room. Handing over the spoon (by hanging it up) thus signalled the end of the meal which could have later been metaphorically extended to stand for life as a whole. Considering these examples, it seems some cultures refer to death in different ways depending on how serious they are trying to be in a given situation. Other languages additionally make a distinction for different people dying. Chinese, for instance, differentiates between the death of members of different social classes. While a king or emperor experiences jiàbēng (驾崩), death of a scholar official is referred to as zú (卒) and death of a commoner as sǐ (死). Differentiation is also made between people of different age groups ranging from early childhood (yāozhé) to old age (shòuzhōng) even providing different vocabulary to death before marriage. On the one hand, this seems overly extensive. On the other hand, there is beauty to the fact that a part of who you are is reflected even in your death. Most European languages, in contrast, seem rather drawn to the notion of everyone being equal in death. The same word will be used for everyone, no matter their status or class. The way we think about death as a concept, then, is reflected in the way we talk about it. 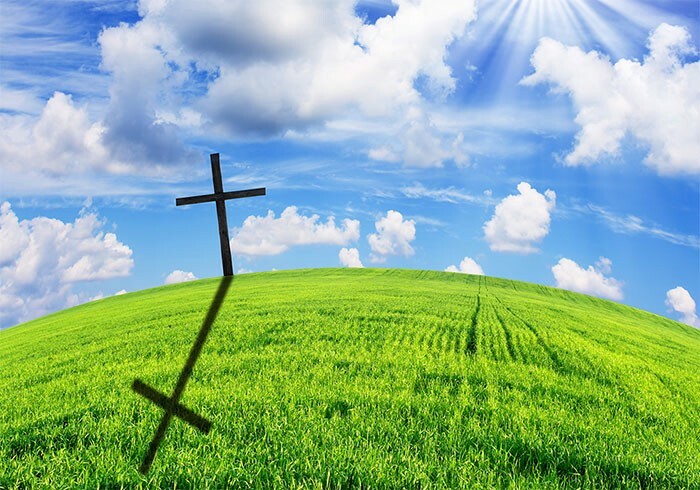 Whether it is through religious images (going to meet one’s maker), euphemisms (pushing up the daisies), humour (farting in the dirt) or through practical terms depending on different factors (age, social class) the way we choose to address death says something about how we feel about it. What exactly that is depends on language, situation and individual speaker. No matter what your personal stance is though, you never have to be serious about death if you don’t want to. So let’s hope English, as all other languages, continues to come up with these marvellous expressions.